Kindergarden to eight grade public school with mixed grade small classrooms in a rual setting. A kindergarden to eight grade pubic school with small classrooms in a rual setting. Alternative public school that also offers Adult and GED classes with small classrooms and one-on-one assistants. 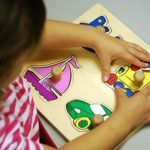 Offer pre-school programs and day care assistants for low income families. 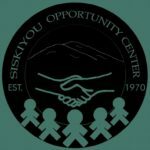 Siskiyou opportunity center provides training in work skills for individuals with intellectual disabilities. We do this by providing the following servies to our communities: Janitorial, landscaping, Hotel Housekeeping, recycling center, confidential shredding, bulk mailing, quality, wood products, outdoor funriture, firewood and fencing sales. Our mission is to offer a core curriculum, rich in both academic and technical electives. We will provide a safe environment, supporting cultural diversity and nurturing mutual respect. With encouraged community co-partnership, we will seek to graduate competent and self motivated students, manifesting a positive value system.